Mobile search is gaining in both popularity and frequency of use in the U.S. and Western Europe, according to a cell phone trend report by comScore M:Metrics. Combining technology, style and features, the latest LG cell phones provide new options for upgrading your mobile experience regardless of your price range. Smartphones with the popular Android operating system dominate the pack. So you think you are a good driver. Just ask your mobile phone all about it; that is if you are sporting the brand new MotorMate app for cell phones. The ROKR brand name has created a few trends of its own like the O ROKR PRO Bluetooth Stereo Eyewear, combining hands-free communication, music streaming, and Oakley's high-definition optics. Also, see MOTOROKR S9 Bluetooth headset and more Cell Phone Gift Ideas. 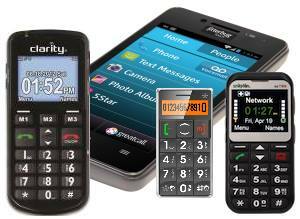 The latest trends in cell phones reflect a convergence of voice, video and data communications. 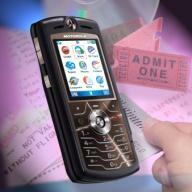 By blending information with entertainment, cell phones are center-stage in the evolving trend of mobile infotainment. So let's be clear - the latest cell phones are not just for talking anymore. Not with MP3 polyphonic ringtones announcing your incoming text messages, video recorders creating your own highlights movie reels, radio-TV programs at the push of a button, and digital cameras at the ready. But Are We Having Fun Yet? Sooner than later, if not already, your cell phone will razzle, dazzle and more. Just check out the trends in cell phones making the news and the reviews. And see the latest in music phones and fashion phones, or GSM unlocked cell phones. But we have barely seen the tip of the iceberg as indicated by the steady stream of increasingly sophisticated multimedia handsets, services, content and accessories. For the telecom industry, the cell phone is just what the doctor ordered - a much-needed shot in the arm to generate consumer excitement. Although the jury is still out on whether consumers are lukewarm or wild about the latest trends in cell phones, current reviews of cell phones show much to be excited about. Motorola M-Wallet lets mobile subscribers leave their wallets at home. See Mobile Money. Already the one item you don't want to leave home without, the indispensable cell phone is inspiring the design of new products and services for everyday use. For example, will the cell phone become the navigational device of the future? Perhaps. And the cell phone will never be the same again. In the final analysis, the value and benefits of cell phones will be measured by the solutions they enable across multiple industries and lifestyles.